The landscape and layout of Montrose, in Hillsborough, North Carolina, originates from the mid-19th century. 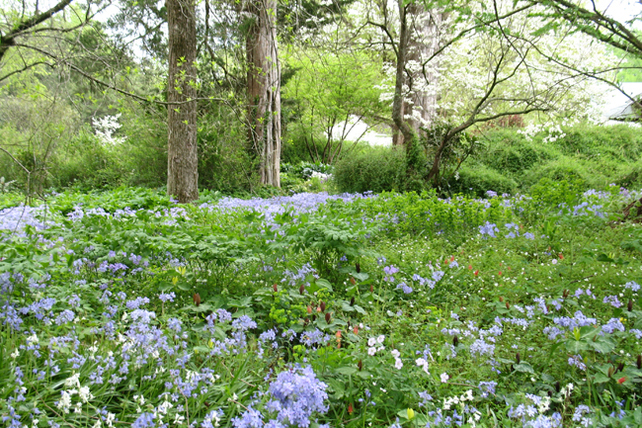 The 61-acre property was purchased in 1977 by Nancy Goodwin and her husband, Craufurd, professor of economics at Duke University, who used the remains of the historic gardens to create a landscape that has greatly influenced and expanded the palette of plants for Southern gardens. 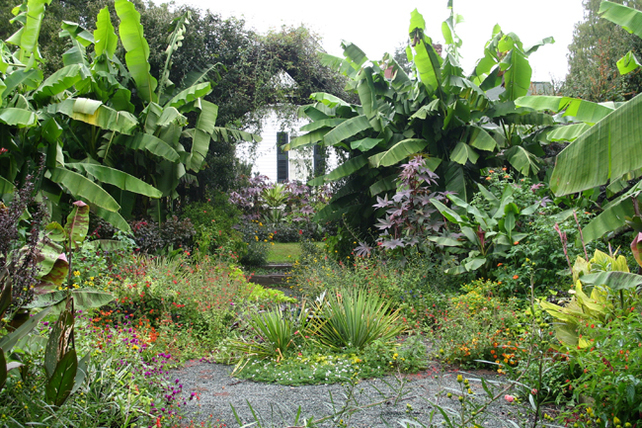 Added to the National Register of Historic Gardens in 2001 and recognized by the Garden Conservancy as a preservation partner garden in 2003, it has grown into a garden filled with plants that grow well on the area's clay loam soil, arranged by color and form. Montrose launches a new website. The New York Times celebrates the expansion of the gardens at Montrose into the woodlands, creating a “profusion of blooms” in winter. Duke University Press publishes Nancy Goodwin's chronicle of a year in her gardens, Montrose Life in a Garden. In it she writes, "This place is my life and its gardens my obsession." Montrose becomes our preservation partner and we begin to assist the Goodwins in planning its future as a public garden and house museum. Added to the National Register of Historic Places. The Goodwins place a conservation easement on 50 acres of the property, including forested land along the Eno River, with the Triangle Land Conservancy. Goodwin begins clearing the undergrowth from acres of woodland, and plants thousands of winter-interest plants. Nancy Goodwin begins operating the Montrose Nursery, which the New York Times calls "one of the best small mail-order sources of rare and unusual plants in the country." She closes it nine years later to devote herself full-time to her gardens. Nancy Goodwin and her husband, Craufurd, professor of economics at Duke University, buy the 61-acre property and begin gardening in earnest. Working within original layout and preserving the venerable trees, a former vegetable garden is tranformed into sunny perennial gardens with dazzling displays. The old rock garden is replanted; appropriate bulbs and native plants are placed beneath the trees. The woods are terraced for erosion control as part of a federal Works Progress Administration (WPA) project for Hillsborough. The current main house is built on the site of two houses previously destroyed by fire. Several of the original outbuildings from the 1840s are still in place today, including Graham's law office, the kitchen, the smokehouse, and the barn. William Alexander Graham and his wife, Susan Washington Graham, with the help of Thomas Paxton, landscape gardener for the University of North Carolina at Chapel Hill, design the layout of the grounds and begin to plant trees. Graham served North Carolina as both governor and senator and was secretary of the Navy under President Millard Fillmore. Montrose is home to three generations of the Graham family. For more information, please visit montrosegarden.org. 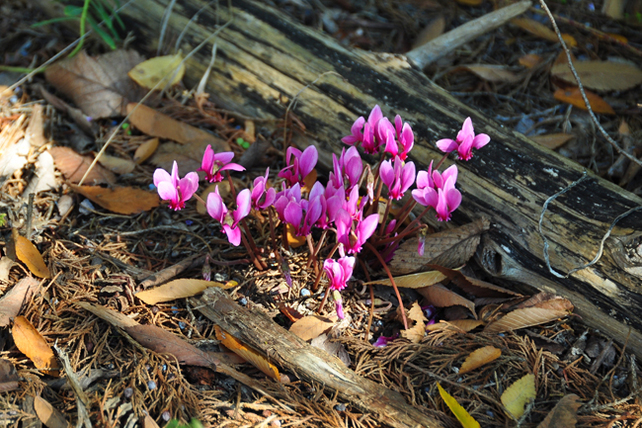 For plant IDs and a complete list of flowers in bloom at Montrose on December 25, 2015, click here.